It’s been a crazy busy week – here’s the notable stuff you may have missed. the Trump Administration is talking about changing regulations that would severely limit or end the use of rebates, potentially replacing rebates with discounts to consumers at the point of sale. 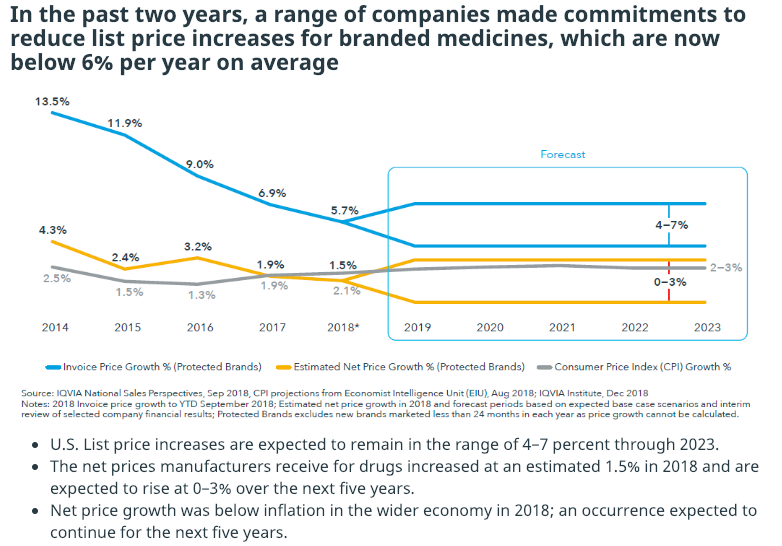 Rebates reduce what payers’ and PBMs’ pay for expensive branded drugs; the problem is patients that need those drugs don’t get the benefit of this cost reduction. While PBMs and payers argue that they use rebates to reduce the total cost of the pharmacy benefit, reality is the folks who need a lot of expensive branded drugs end up subsidizing everyone else’s pharmacy benefits. There’s an excellent explanation of this by Adam Fein PhD here. For workers’ comp folks, the impact of these potential changes to rebates will depend on your contract terms with your PBM. Thanks to Steve Feinberg MD for alerting me to an NPR piece on the big growth in prescribing of benzodiazepines by primary care providers. It appears these drugs, usually prescribed for anxiety, insomnia and seizures, are being used by patients with back and other chronic pain. More troubling, the long-term use of these potentially-addictive substances is on the upswing. Managing disability is the focus of a terrific new publication from Mathematica; included are some particularly useful articles about data mining to identify claims that may be good candidates for early intervention. Yesterday’s post on facility costs elicited several emails from hospital and health system folks asserting their billing practices and discount arrangements result in lower costs for workers’ comp payers. None provided any data supporting those assertions; hopefully that is forthcoming. Previous Previous post: Facility costs are the problem. Here’s why.